"SALT" redirects here. For other uses, see SALT (disambiguation). Negotiations commenced in Helsinki, Finland, in November 1969. SALT I led to the Anti-Ballistic Missile Treaty and an interim agreement between the two countries. Although SALT II resulted in an agreement in 1979, the United States Senate chose not to ratify the treaty in response to the Soviet war in Afghanistan, which took place later that year. The Soviet legislature also did not ratify it. The agreement expired on December 31, 1985 and was not renewed. 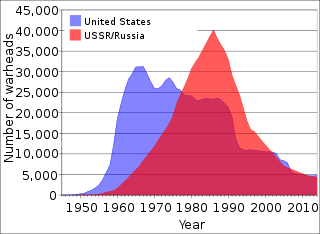 The talks led to the STARTs, or Strategic Arms Reduction Treaties, which consisted of START I (a 1991 completed agreement between the United States and the Soviet Union) and START II (a 1993 agreement between the United States and Russia, which was never ratified by the United States), both of which proposed limits on multiple-warhead capacities and other restrictions on each side's number of nuclear weapons. A successor to START I, New START, was proposed and was eventually ratified in February 2011. SALT I is the common name for the Strategic Arms Limitation Talks Agreement signed on May 26, 1972. SALT I froze the number of strategic ballistic missile launchers at existing levels and provided for the addition of new submarine-launched ballistic missile (SLBM) launchers only after the same number of older intercontinental ballistic missile (ICBM) and SLBM launchers had been dismantled. SALT I also limited land-based ICBMs that were in range from the northeastern border of the continental United States to the northwestern border of the continental USSR. In addition to that, SALT I limited the number of SLBM capable submarines that NATO and the United States could operate to 50 with a maximum of 800 SLBM launchers between them. If the United States or NATO were to increase that number, the USSR could respond with increasing their arsenal by the same amount. The strategic nuclear forces of the Soviet Union and the United States were changing in character in 1968. The total number of missiles held by the United States had been static since 1967 at 1,054 ICBMs and 656 SLBMs but there was an increasing number of missiles with multiple independently targetable reentry vehicle (MIRV) warheads being deployed. MIRVs carried multiple nuclear warheads, often with dummies, to confuse ABM systems, making MIRV defense by ABM systems increasingly difficult and expensive. Both sides were also permitted to increase their number of SLBM forces, but only after disassembling an equivalent number of older ICBMs or SLBM launchers on older submarines. One clause of the treaty required both countries to limit the number of deployment sites protected by an anti-ballistic missile (ABM) system to one each. 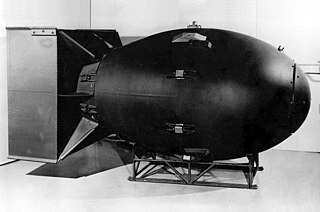 The idea of this system was that it would prevent a competition in ABM deployment between the US and the Soviet Union. The Soviet Union had deployed such a system around Moscow in 1966 and the United States announced an ABM program to protect twelve ICBM sites in 1967. After 1968, the Soviet Union tested a system for the SS-9 missile, otherwise known as the R-36 missile. A modified two-tier Moscow ABM system is still used. The United States built only one ABM site to protect a Minuteman base in North Dakota where the "Safeguard" Program was deployed. This base was increasingly more vulnerable to attacks by the Soviet ICBMs, because of the advancement in Soviet missile technology. Negotiations lasted from November 17, 1969, until May 1972 in a series of meetings beginning in Helsinki, with the US delegation headed by Gerard C. Smith, director of the Arms Control and Disarmament Agency. Subsequent sessions alternated between Vienna and Helsinki. After a long deadlock, the first results of SALT I came in May 1971, when an agreement was reached over ABM systems. Further discussion brought the negotiations to an end on May 26, 1972, in Moscow when Richard Nixon and Leonid Brezhnev signed both the Anti-Ballistic Missile Treaty and the Interim Agreement Between The United States of America and The Union of Soviet Socialist Republics on Certain Measures With Respect to the Limitation of Strategic Offensive Arms. The two sides also agreed to a number of basic principles regrading appropriate conduct. Each recognized the sovereignty of the other and agreed to the principle of non-interference while at the same seeking to promote economic, scientific, and cultural ties of mutual benefit and enrichment. Jimmy Carter and Leonid Brezhnev signing the SALT II treaty, June 18, 1979, at the Hofburg Palace in Vienna. 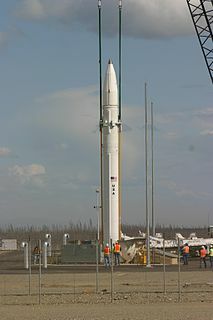 The SALT II Treaty banned new missile programs (a new missile defined as one with any key parameter 5% better than in currently deployed missiles), so both sides were forced to limit their new strategic missile types development and construction, such as the development of additional fixed ICBM launchers. Likewise, this agreement would limit the number of MIRVed ballistic missiles and long range missiles to 1,320. However, the United States preserved their most essential programs like the Trident missile, along with the cruise missiles President Jimmy Carter wished to use as his main defensive weapon as they were too slow to have first strike capability. In return, the USSR could exclusively retain 308 of its so-called "heavy ICBM" launchers of the SS-18 type. A major breakthrough for this agreement occurred at the Vladivostok Summit meeting in November 1974, when President Gerald Ford and General Secretary Leonid Brezhnev came to an agreement on the basic framework for the SALT II agreement. The elements of this agreement were stated to be in effect through 1985. 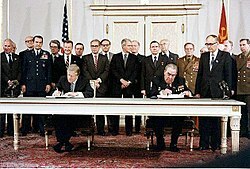 An agreement to limit strategic launchers was reached in Vienna on June 18, 1979, and was signed by Leonid Brezhnev and Carter at a ceremony held in the Redoutensaal of the imperial Hofburg Palace. Six months after the signing, the Soviet Union invaded Afghanistan, and in September of the same year, the United States discovered that a Soviet combat brigade was stationed in Cuba. Although President Carter claimed this Soviet brigade had only recently been deployed to Cuba, the unit had been stationed on the island since the Cuban Missile Crisis of 1962. In light of these developments, the treaty was never ratified by the United States Senate. Its terms were, nonetheless, honored by the U.S. until 1986. SALT II was superseded by START I in 1991. ^ Paterson, Thomas G (2009). American foreign relations: a history. Vol. 2 Vol. 2 (7 ed.). Wadsworth. p. 376. ISBN 9780547225692. ^ "Interim Agreement Between the United States of America and the Union of Soviet Socialist Republics on Certain Measures with Respect to the Limitation of Strategic Offensive Arms (SALT I)" (PDF). Archived from the original (PDF) on May 2, 2014. Retrieved April 27, 2015. ^ Smart, Ian (1970). "The Strategic Arms Limitation Talks". The World Today. 26 (7): 296–305. JSTOR 40394395. ^ "SALT 1 | Détente | National Curriculum | Schools & Colleges | National Cold War Exhibition". Royal Air Force Museum. Archived from the original on 2018-08-14. Retrieved 2019-03-07. ^ Sargent, Daniel J. (2015). A Superpower Transformed : The Remaking of American Foreign Relations in the 1970s. Oxford University Press. pp. 62–63. ISBN 9780195395471. The basic principles agreement affirmed that the superpowers would conduct their relations on "principles of sovereignty, equality, [and] non-interference in internal affairs. ^ Nixon, Richard M. Richard Nixon: 1972 : Containing the Public Messages, Speeches, and Statements of the President. pp. 633–635. ^ Formigoni, Guido (2006). Storia della politica internazionale nell'età contemporanea (in Italian). Il Mulino. p. 463. ISBN 9788815113900. ^ Schram, Martin (19 June 1979). "Carter and Brezhnev Sign SALT II". The Washington Post. Retrieved 23 March 2017. ^ Peters,Gerhard; Woolley, John T. "Jimmy Carter: "Peace and National Security Address to the Nation on Soviet Combat Troops in Cuba and the Strategic Arms Limitation Treaty.," October 1, 1979". The American Presidency Project. University of California - Santa Barbara. ^ Gaddis, John Lewis (2007). The Cold War: a new history. Penguin Books. p. 203. ISBN 1594200629. ^ "U.S. to Break SALT II Limits Friday". The Washington Post. 27 November 1986. Retrieved 23 March 2017. ^ "Strategic Arms Limitation Talks (SALT II) | Treaties & Regimes | NTI". www.nti.org. Retrieved 23 March 2017. Tal, David. " 'Absolutes' and 'Stages' in the Making and Application of Nixon’s SALT Policy." Diplomatic History 37.5 (2013): 1090-1116. Arms Control Today: U.S.-Soviet/Russian Nuclear Arms Control, June 2002. An anti-ballistic missile (ABM) is a surface-to-air missile designed to counter ballistic missiles. Ballistic missiles are used to deliver nuclear, chemical, biological, or conventional warheads in a ballistic flight trajectory. The term "anti-ballistic missile" is a generic term conveying a system designed to intercept and destroy any type of ballistic threat, however it is commonly used for systems specifically designed to counter intercontinental ballistic missiles (ICBMs). An intercontinental ballistic missile (ICBM) is a guided ballistic missile with a minimum range of 5,500 kilometres (3,400 mi) primarily designed for nuclear weapons delivery. Similarly, conventional, chemical, and biological weapons can also be delivered with varying effectiveness, but have never been deployed on ICBMs. 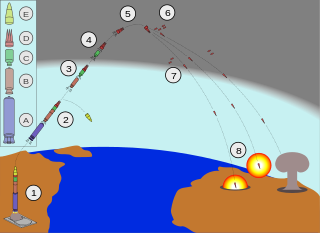 Most modern designs support multiple independently targetable reentry vehicles (MIRVs), allowing a single missile to carry several warheads, each of which can strike a different target. START I was a bilateral treaty between the United States of America and the Union of Soviet Socialist Republics (USSR) on the reduction and limitation of strategic offensive arms. The treaty was signed on 31 July 1991 and entered into force on 5 December 1994. The treaty barred its signatories from deploying more than 6,000 nuclear warheads atop a total of 1,600 inter-continental ballistic missiles (ICBMs) and bombers. START negotiated the largest and most complex arms control treaty in history, and its final implementation in late 2001 resulted in the removal of about 80 percent of all strategic nuclear weapons then in existence. Proposed by United States President Ronald Reagan, it was renamed START I after negotiations began on the second START treaty. START II was a bilateral treaty between the United States of America and Russia on the Reduction and Limitation of Strategic Offensive Arms. It was signed by United States President George H. W. Bush and Russian President Boris Yeltsin on 3 January 1993, banning the use of multiple independently targetable reentry vehicles (MIRVs) on intercontinental ballistic missiles (ICBMs). Hence, it is often cited as the De-MIRV-ing Agreement. Despite negotiations, it never entered into effect. It was ratified by the U.S. Senate on 26 January 1996 with a vote of 87-4. Russia ratified START II on 14 April 2000, but on 14 June 2002, withdrew from the treaty in response to U.S. withdrawal from the ABM Treaty. Missile defense is a system, weapon, or technology involved in the detection, tracking, interception, and destruction of attacking missiles. Originally conceived as a defense against nuclear-armed intercontinental ballistic missiles (ICBMs), its application has broadened to include shorter-ranged non-nuclear tactical and theater missiles. The Safeguard Program was a U.S. Army anti-ballistic missile (ABM) system designed to protect the U.S. Air Force's Minuteman ICBM silos from attack, thus preserving the US's nuclear deterrent fleet. It was intended primarily to protect against the very small Chinese ICBM fleet, limited Soviet attacks and various other limited launch scenarios. A full-scale attack by the Soviets would easily overwhelm it, a deliberate point to ensure the Soviets did not consider it a strategic threat. It was designed to allow gradual upgrades to provide similar lightweight coverage over the entire United States over time. The Moscow Summit was a summit meeting between U.S. President Ronald Reagan and General Secretary of the Communist Party of the Soviet Union Mikhail Gorbachev. It was held on May 29, 1988 – June 3, 1988. Reagan and Gorbachev finalized the Intermediate-Range Nuclear Forces Treaty (INF) after the U.S. Senate's ratification of the treaty in May 1988. Reagan and Gorbachev continued to discuss bilateral issues like Central America, Southern Africa, the Middle East and the pending withdrawal of Soviet troops from Afghanistan. Reagan and Gorbachev continued their discussions on human rights. The parties signed seven agreements on lesser issues such as student exchanges and fishing rights. A significant result was the updating of Soviet history books, which necessitated cancelling some history classes in Soviet secondary schools. In the end, Reagan expressed satisfaction with the summit.